The smoke from the forest fires on the western slope of the mountain can be seen sinking into the Grinnell and Salamander Glacier basin. Grinnell Glacier is the lower glacier on the left side of the frame, Salamander Glacier is feeding it from above, via a 400 foot waterfall. 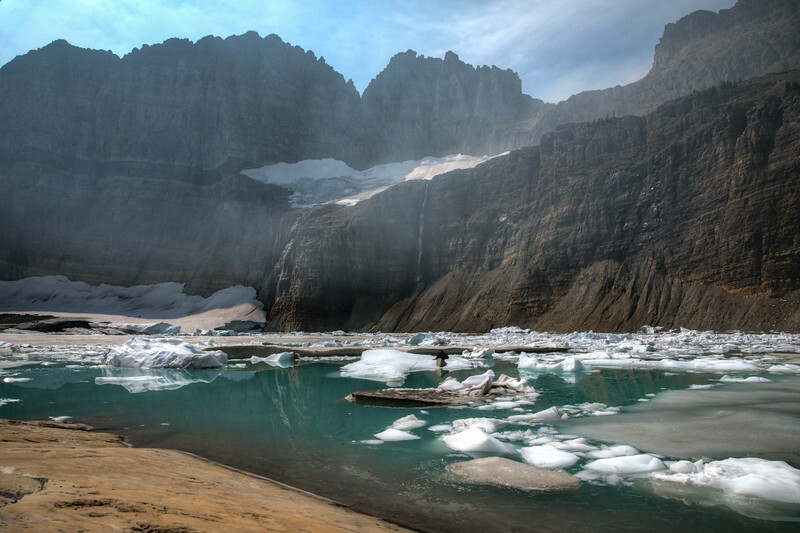 Grinnell Glacier is 100 feet thick and the lake is 100 feet deep. For a better sense of scale he black band of rock above Grinnell Glacier and attached to Salamander is 100 feet thick.